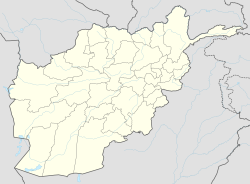 Dado is the district center of Zana Khan district, Afghanistan. It is located 30 km north-east of Ghazni on 33°40′05″N 68°36′03″E﻿ / ﻿33.6681°N 68.6008°E﻿ / 33.6681; 68.6008 at 2,520 m altitude. This page was last edited on 11 October 2017, at 06:13 (UTC).